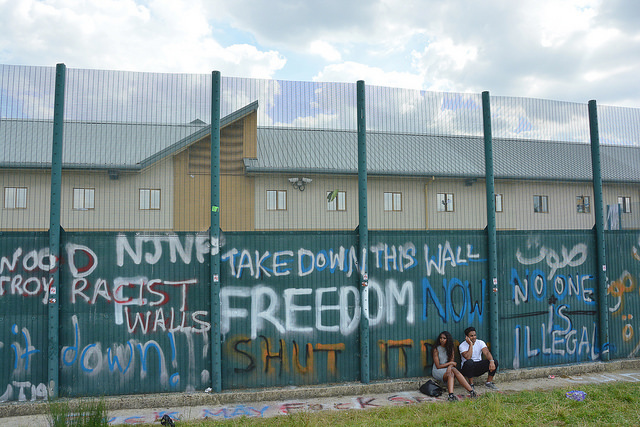 The Home Office has agreed to an inquiry into alleged abuse at immigration detention centre, Brook House, following the threat of legal action by lawyers acting for two detainees. The Home Office has confirmed the Prisons and Probation Ombudsman had been asked to carry out an independent investigation into the alleged physical and verbal abuse, exposed by a whistleblower in a Panorama undercover investigation, Britain’s Immigration Secrets, in September 2017. Home Office backs down and agrees to an independent Article 3-compliant investigation into the abuse of detainees at Brook House Immigration Removal Centre. Lawyers acting on behalf of two individuals, known as BB and AA, who were victims of the alleged abuse confirmed that the investigation will be ‘Article 3 ECHR-compliant‘, meaning it will investigate whether Article 3 of the Human Rights Convention, the right not to be tortured or treated in an inhumane or degrading way, has been breached. Following the Home Office’s u-turn Joanna Thomson, a partner and solicitor at Deighton Pierce Glynn (DPG) solicitors, who represented BB, said: “Panorama revealed shocking, deliberate abuse of detainees by detention staff. And that was probably only the tip of the iceberg. Staff were shown bragging about how they mistreated vulnerable detainees and how they cover up the evidence. Staff were shown bragging about how they mistreated vulnerable detainees and how they cover up the evidence. The Equality and Human Rights Commission, which backed AA’s and BB’s legal challenge calling for an independent inquiry, said: “We supported the claimants in this case as there appeared to be deliberate acts of humiliation and abuse that cannot go unanswered in a civilised society. There appeared to be deliberate acts of humiliation and abuse that cannot go unanswered in a civilised society. Why is this Investigation Happening Now? In September 2017, Panorama exposed shocking abuse of people held at Brook House, an immigration detention centre run by private security firm G4S near Gatwick airport in West Sussex. Panorama’s footage showed guards allegedly choking, mocking and abusing individuals at the detention centre, and resulted in G4S suspending nine staff members following the broadcast of the documentary. The documentary also highlighted that attempted suicides, self harm and violence are rife, with immigration detainees, who have committed no crime, being put in cells with serious criminals waiting to be deported. At the time, the chair of the all party parliamentary group on refugees called for G4S contracts to be suspended. The use of detention … (has) become a port of first resort rather than last resort as it is supposed to be. The government’s policy of indefinite detention, as part of the ‘hostile environment’, has long been flagged as draconian and a breach of human rights. 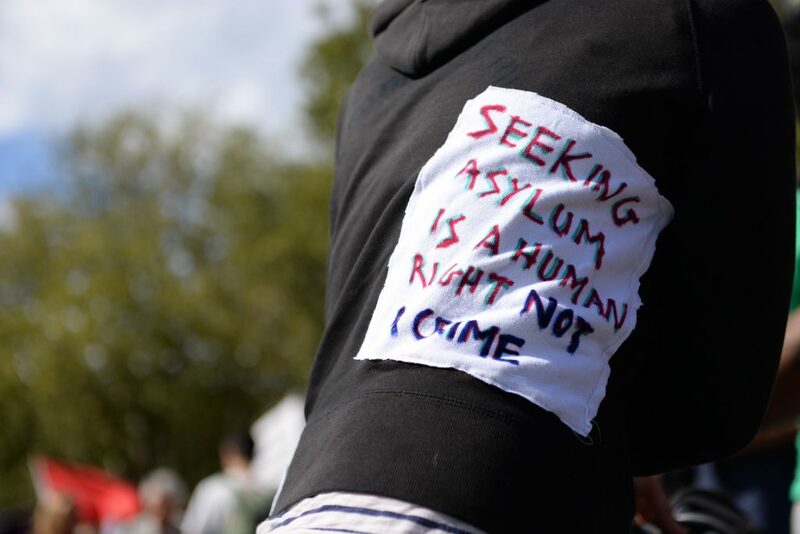 Asylum seekers, who can include children, victims of torture and trafficking, and people fleeing conflict and persecution for their sexuality, can be detained indefinitely in detention centres such as Brook House, sometimes for years, without the say so of a judge. They have not committed a crime, and seeking asylum is a human right, set out in the Universal Declaration of Human Rights. This principle is also enshrined in the Refugee Convention. There is growing pressure on the government to introduce a 28 day limit to detention. Following the general election in June 2017, the UN called on the UK government to reduce the use of detention. The UN report states: “The fundamental rights to liberty and security of person, as well as freedom of movement, apply to asylum-seekers, refugees and stateless people alike. And yet the UK detains strikingly high numbers of asylum-seekers and is one of only a handful of countries without a time limit on immigration detention.